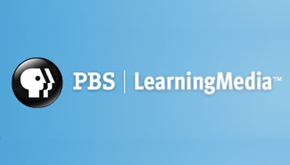 Join PBS Black Culture Connection, PBS Learning Media and Listverse as we revisit groundbreaking relationships, cases and rulings that have made a mark on history! 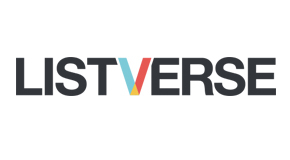 Browse the profiles of influential couples around the world or visualize some of their stories through an infographic. On July 11, 1958, newlyweds Richard and Mildred Loving were asleep in bed when three armed police officers burst into the room. The couple were hauled from their house and thrown into jail, where Mildred remained for several days, all for the crime of getting married. At that time, 24 states across the country had laws strictly prohibiting marriage between people of different races. Five weeks earlier, the longtime couple had learned Mildred was pregnant and decided to wed in defiance of the law. In order to evade Virginia’s Racial Integrity Act, the pair had traveled to Washington, D.C. for the ceremony. Upon their return to Virginia, they were arrested and found guilty, with the judge informing Mildred that “as long as you live you will be known as a felon.” The Lovings moved to the relative safety of Washington, but longed to return to their home state. In 1963, they approached the American Civil Liberties Union to fight their case in court. 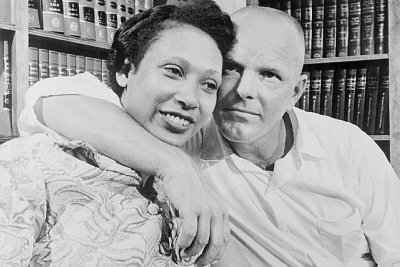 After an extensive legal battle, the Supreme Court ruled that laws prohibiting interracial marriage were unconstitutional in June of 1967. Although such laws officially remained on the books in several states, the Lovings’ landmark victory rendered them effectively unenforceable, ensuring nobody else would have to endure the same treatment. The last law officially prohibiting interracial marriage was repealed in Alabama in 2000. While attending law school in England, Ruth met Sir Seretse Khama (then Prince Seretse Khama), the chief of the Bamangwato tribe, who became Botswana's first president in 1966. Under his leadership, the country underwent significant economic and social progress, while Ruth was a politically active and influential First Lady. But first they had to overcome the wave of bigotry brought about by their controversial marriage. 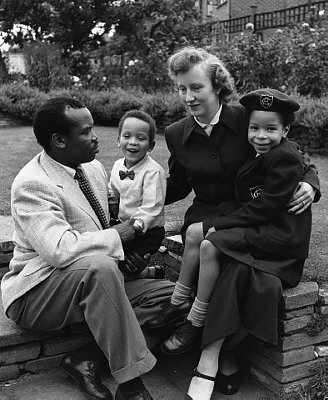 When they announced the news in 1948, Ruth’s father threw her out of the house, while Seretse’s uncle declared “if he brings his white wife here, I will fight him to the death.” Bowing to pressure from apartheid South Africa, the British government attempted to stop the marriage and then prevented the couple from returning to Botswana. For eight years they lived as exiles in England, until the Bamangwato sent a personal cable to the Queen in protest. Their sons Ian and Tshekedi later became significant political figures as well. The marriage is said to have inspired the film A Marriage of Inconvenience and the book Colour Bar. In the early years of the 18th century, European scholars made huge advances in their understanding of Chinese language and culture. Much of this work rested on the efforts of a remarkable young man named Arcadio Huang. Born in a small town in China’s Fujian province, Huang’s Catholic parents were set on him becoming a priest. He was adopted by a French priest and later traveled to France with Bishop Artus de Lionne. In France, he soon joined with a number of promising young French scholars to develop a Chinese-French dictionary. In 1713, Huang married a middle-class Parisian woman named Marie-Claude Regnier. There are very few records of marriages between Europeans and non-Europeans during this time period and many considered such relationships unthinkable. Nevertheless, Marie-Claude’s parents reportedly gave their blessing for the union, and while the couple soon found themselves in financial difficulties, the marriage seems to have been a happy one. A year later, Marie-Claude died giving birth to their first child and Huang, heartbroken, followed her a year later. Historians have speculated that their unusual marriage was one of the first of its kind. Some of the first people of Spanish/ Mayan heritage were the product of a truly incredible marriage. As a survivor of a shipwreck off the Yucatan coast, Gonzalo Guerrero found himself held captive by the Maya. Desperate to avoid being killed, he successfully sought to learn his captors’ language and customs. As he gained acceptance into the culture, he taught Spanish combat tactics to the Maya, which are said to have allowed them to drive out the conquistadors. 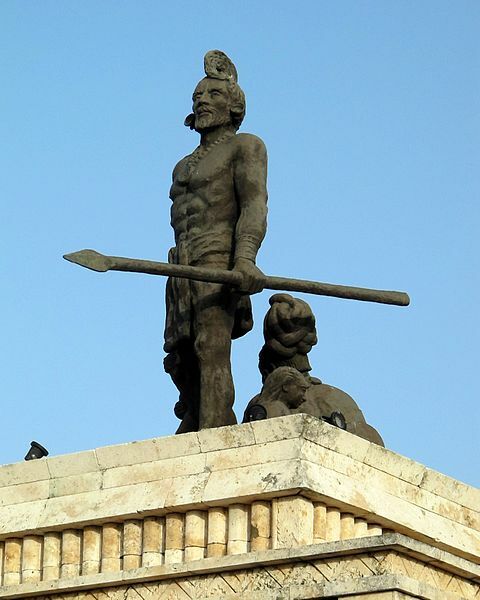 Guerrero himself became a highly respected figure in Mayan society, marrying a princess named Zazil Ha and being given the temples of Ichpaatún, north of Chetumal. Photo: Statue of Gonzalo Guerrero guarding over his family. Both Louis Gregory, an African American man and Louisa Mathews, a British woman were of the Bahá’í faith: a religion centered on unity. The two met in 1911 on a pilgrimage to the Holy Land in Egypt. Their love for one another was not received well by the general public, especially in the United States, where racism was still very much the norm. In spite of the Bahá’í faith’s innermost message of “Oneness of Mankind,” many people of the faith living in Washington, D.C. adhered to the attitude of racial segregation that was rampant during the time. 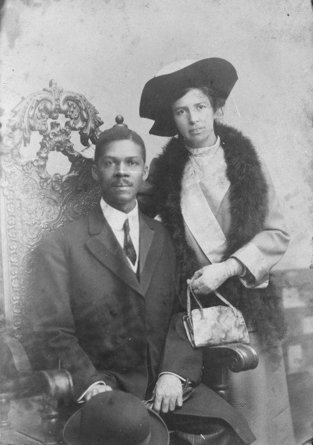 With Bahá’í leader Abdu’l-Bahá declaring his staunch support for interracial marriages, Louis and Louisa were married in 1912 in New York, becoming the first interracial Bahá’í couple. Louis Gregory became a strong advocate for racial unity in both the United States as well as within the Bahá’í community; his most significant expression of the teachings of his faith come from his marriage. Despite countless obstacles, the couple remained married for almost 40 years, until Louis Gregory’s death in 1951. The marriage and divorce trial of Kip Rhinelander and Alice Jones brought the racial tensions of a nation to court, examining how a person is labeled as “colored” and “white” in legal terms. Rhinelander was a white socialite born into a prominent New York family. Jones was the biracial daughter of a working class couple. In 1921, the two met in Stamford, Connecticut at a clinic where Kip was working through his issues of anxiety and stuttering. The couple had a three-year love affair before marrying in 1924. Because of the Rhinelanders’ high position in society, their marriage was listed in the New York Social Register. Alice became the first black woman to appear in its pages, and the media swung into action. Headlines immediately blared the news of the marriage. Kip’s family quickly followed this with a demand that he divorce his wife, and he eventually succumbed to their will. The divorce trial was centered on Kip’s claim that Jones had passed herself off as a white woman. Under the eyes of an all-white, all-male jury, the focus of the trial became whether Rhinelander must have reasonably known of Jones’s mixed heritage. In a move that can only be described as grossly demeaning, Jones was ordered to strip off her clothes so the jury could determine if she was to be considered “colored.” They ruled in Jones’s favor, and the annulment was denied. 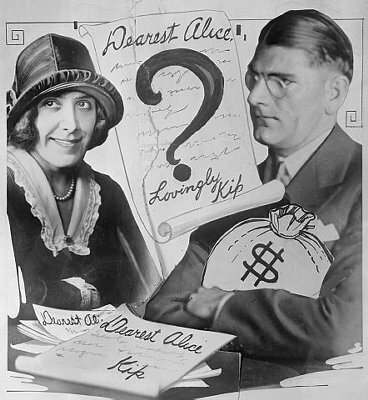 Kip's estate was ordered to pay a yearly allowance to Alice for the rest of her life. The two never reunited. James Kirkpatrick was a high-ranking diplomat from the East India Company who became captivated by Indo-Persian culture after traveling to India with imperialist intentions. He quickly gave up his English habits and wardrobe and replaced them with nautch parties and Mughal-style outfits. As he delved deeper and deeper into the culture, Kirkpatrick converted to Islam and in 1801 married Khair un-Nissa, the teenage granddaughter of the prime minister of Hyderabad. Local officials only allowed the marriage on the condition that he “strive for the best interests of the [Hyderabadi] government.” He accepted the conditions, and the marriage was done. A public outrage quickly ensued in Calcutta because the marriage was interracial. 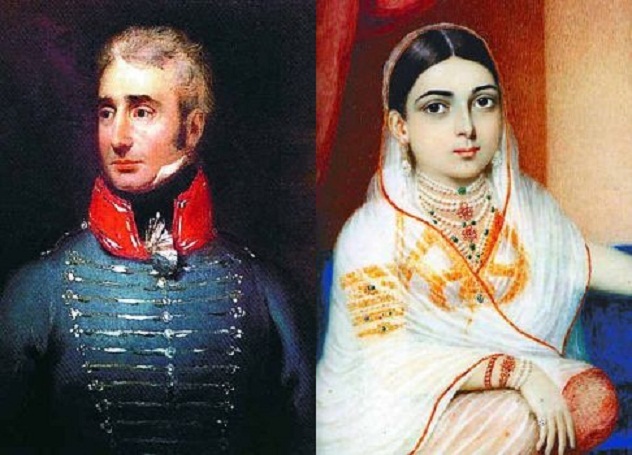 As imperialism swept across India, the union became even more of a taboo, especially because Kirkpatrick was the highest-ranking official yet to be involved in this type of marriage. Upon hearing of the scandal, newly appointed governor of India Lord Rickard Wessesley summoned Kirkpatrick to Calcutta, where he was reprimanded and dismissed from his position. He went on to have two children with his wife. A few years later, Kirkpatrick decided his children should be sent to England to for schooling and to receive Christian names. They never returned to India. Tragically, James didn’t make it back to town to bid his children goodbye. Immediately after they left, he came down with a fever and died (around 1807). Khair un-Nissa would die of natural causes only a few years later. 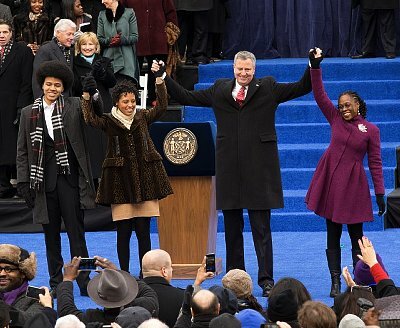 In spite of the increased acceptance of interracial marriage across the United States, Bill de Blasio, elected Mayor of New York in 2013, is the first white official to be elected into a major office with a black spouse by his side. McCray is expected to play a major role in de Blasio's administration. While polls show that interracial marriages across the United States are increasingly accepted, some disapproval is still overt: A 2013 Cheerios ad featuring a biracial family sparked so many racist remarks on Youtube that comments had to be disabled. Many celebrate the de Blasio marriage as another significant milestone and hope it will help combat the racism that still exists in a country constantly striving to uphold its cornerstone value of equality. 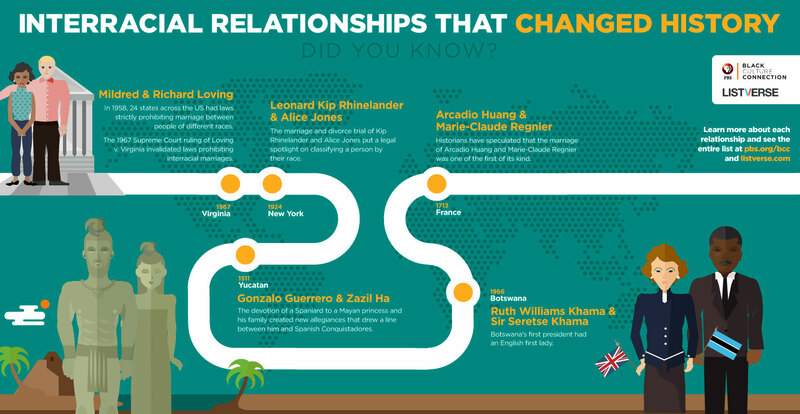 Download and share an infographic on relationships that have changed history. Background essay and discussion questions to augment your classroom teaching. 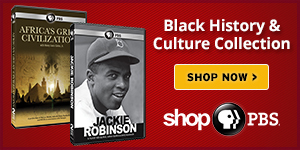 Visit 10 Fascinating Interracial Relationships in HIstory from Listverse.